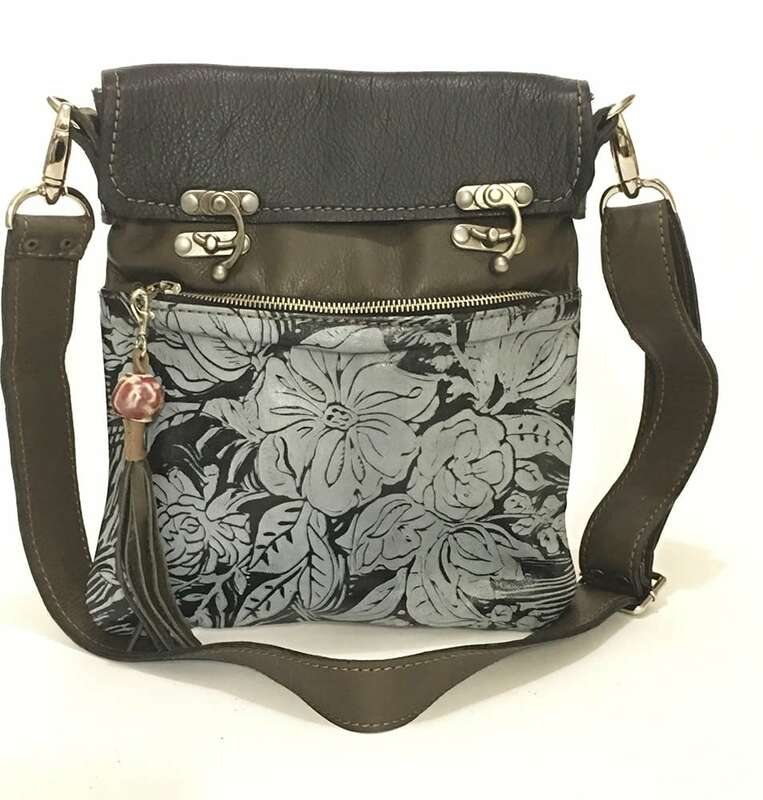 The excursion cross body bag is made from mixed colored leathers and features a block cut print in a peony motif. 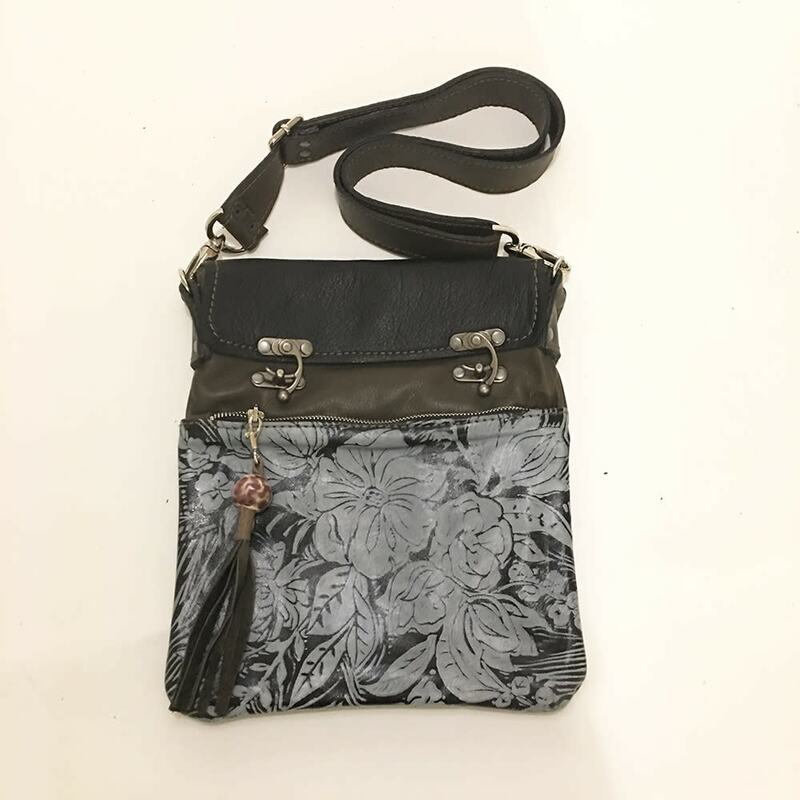 Inspired by hand carved Indian woodcuts this bag reimagines the classic art. 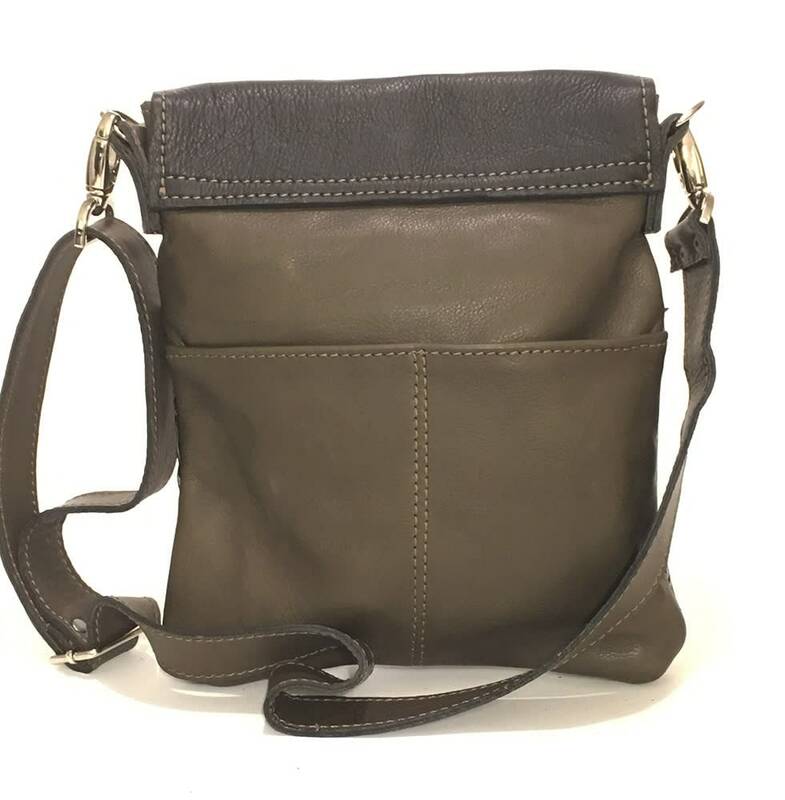 Please note that this bag is made to order and will take 10-12 business days to construct and ship. 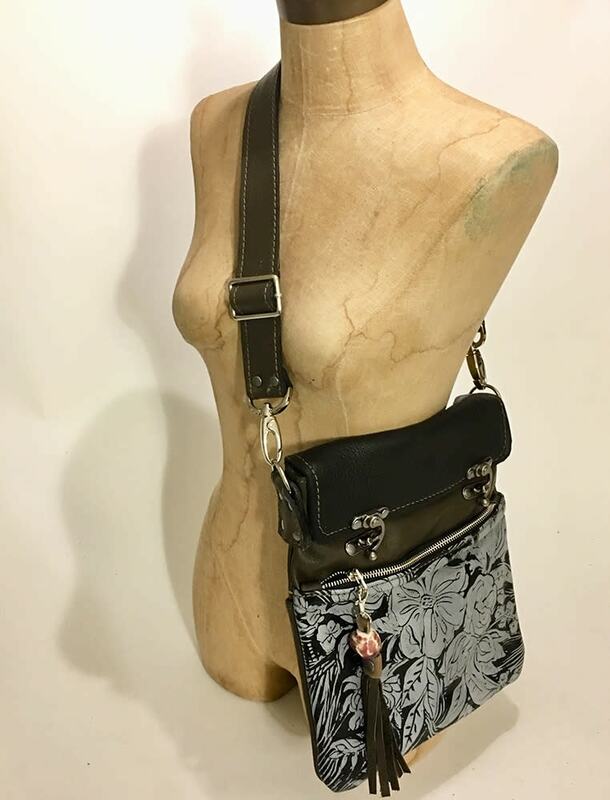 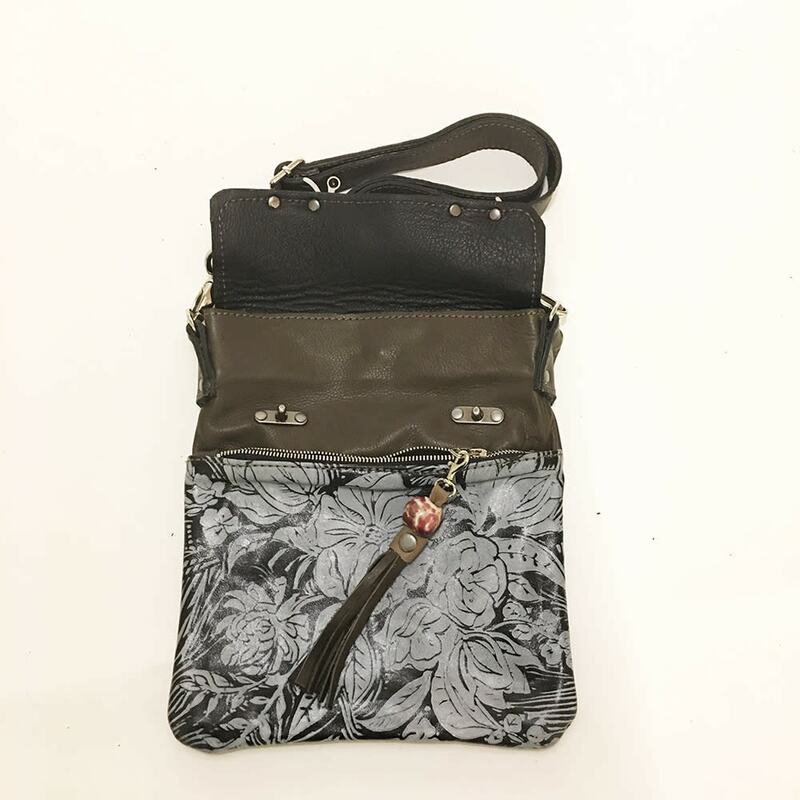 14" high x 12" wide, adjustable cross body strap, mixed leathers, outer zip pocket, outer back pockets, fully lined, inner drop pocket, inner zip pocket, double clasp closure, tassel detail.